‘Imitinef Mercilet’ is a medicine which cures blood cancer. It is available free of cost at “Adyar Cancer Institute in Chennai”. Create Awareness. It might help someone. Forward to as many as u can, kindness costs nothing. 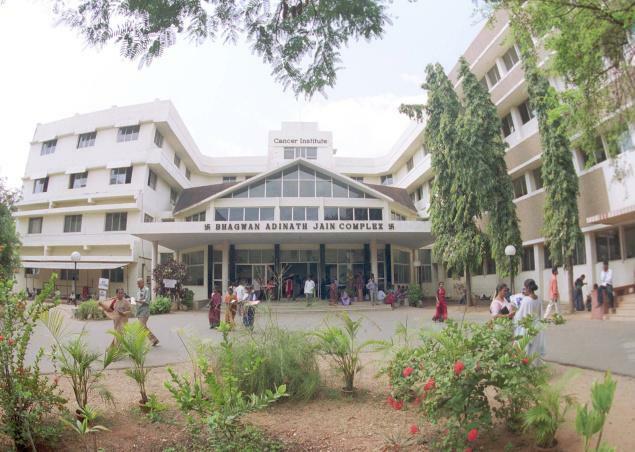 The Adyar Cancer Institute is a real health facility. “Imitinef Mercilet” is apparently an alternative spelling of the cancer drug, Imatinib mesylate. It is true that Imatinib (or “Imitinef”) is available free of charge for patients who have been admitted to the Adyar Cancer Institute hospital for cancer treatment. However, the Institute is not handing out the drug freely to all as suggested in the message. Moreover, the drug does not actually cure all blood cancers as claimed in the message. Vital inputs in context to Drug for cancer at Chennai collected from Net: According to this message, India’s Adyar Cancer Institute is distributing, free of charge, a medicine named ‘Imitinef Mercilet’ that cures blood cancer. The message is circulating rapidly via email and is also making its way around the Internet via blogs, forums and social networking websites. The Adyar Cancer Institute is a real health facility located in the city of Chennai, India and, as its name implies, it indeed specializes in cancer treatment and research. The Adyar Cancer Institute has achieved great results in the treatment and research of cancer since its establishment in 1954. I contacted a spokesperson at the Adyar Cancer Institute to ask about the veracity of the message. He sent me the following reply: Only part of this message is true. The medicine Imitinef is available free for only qualified persons and not for all. It is free for those who have admitted in the hospital for treatment.’Imitinef Mercilet’ is apparently an alternative spelling of the drug Imatinib mesylate which is used in the treatment of some forms of leukaemia along with other types of cancer. Imatinib, often referred to a “Gleevec”, has proved to be an effective treatment for some forms of cancers. However, “blood cancer” is a generalized term for cancers that affect the blood, lymphatic system or bone marrow. The three types of blood cancer are listed as leukaemia, lymphoma, and multiple myeloma. These three malignancies require quite different kinds of treatments. While drugs (including Imatinib), along with other treatments such as radiation can help to slow or even stop the progress of these cancers, there is currently no single drug treatment that can be said to actually cure all such cancers. Moreover, it should be noted that Imatinib is available for cancer patients in many different health facilities around the world, not just the Adyar Cancer Institute. I showed this article to a skin specialist from US and he said that, coincidentally, he did a research paper on ‘Imatinib mesylate’ during his university days (the Divine has a way of bringing people together!) He confirmed that the drug is used to cure patients from CML leukaemia and it saves thousands of life each year from this form of cancer. I used to be a lot more than pleased to seek out this internet-site.. I dont even know how I ended up here, but I thought this post was fantastic. A whole lot a lot more A rise in Agreeable. WONDERFUL Post, Thanks for the share, will add it to my bookmark amd looking forward to come back soon ! Fantastic points altogether, you just received a new reader. What may you recommend about your submit that you simply made a few days ago? Any certain? Just a smiling visitor here to share the love (:, btw great pattern . “He who will not reason is a bigot he who cannot is a fool and he who dares not is a slave.” by Sir William Drummond. Aw, this was a truly good post. In notion I would like to put in writing like this furthermore taking time and actual effort to produce a really excellent post?- but what can I say? I procrastinate a whole lot and by no indicates seem to get one thing done. It’s a pity you don’t have a donate button! I’d without a doubt donate to this fantastic blog! I suppose for now i’ll settle for bookmarking and adding your RSS feed to my Google account. I look forward to fresh updates and will share this site with my Facebook group. Talk soon! An impressive share, I just given this onto a colleague who was performing just a little evaluation on this. And he the truth is bought me breakfast due to the fact I located it for him.. smile. So let me reword that: Thnx for the treat! But yeah Thnkx for spending the time to talk about this, I really feel strongly about it and adore reading extra on this topic. If doable, as you grow to be expertise, would you mind updating your blog with a lot more particulars? It truly is highly useful for me. Massive thumb up for this weblog post! Thanks you tremendously for this exceptional and seriously insightful content. Everyone will get incredibly superior aspects from this text.good function retain it up. I am planning to bookmark this site for arrived again in long term. Thanks you tremendously for this fantastic and definitely instructional articles. Any one could get excellent details from this certain content.really superior carry out hold it up. I’m likely to bookmark this website for arrived back once more in long run. I’m writing to let you know of the really good encounter my friend’s child encountered browsing your webblog. She even learned a wide variety of things, which include how it is like to have an excellent teaching style to have other folks with no trouble gain knowledge of some impossible subject matter. You truly exceeded our own expectations. Many thanks for churning out those informative, healthy, informative and easy tips on this topic to Janet. Quite a few many thanks you incredibly considerably for this good and really insightful article. Everyone will get exceptional info and details from this text.wonderful complete maintain it up. I’m heading to bookmark this web site for came back again in foreseeable upcoming. It’s evident that you simply love doing what you do as your enthusiasm may be seen in all of your respective perform. Do not ever let the fervour go on as we are right here in any way times anticipating what you’ve got in store for us. Thanks in your willingness to share your pretty masterpieces. extraordinarily impressed your writing abilities and also with the format on your blog. Is that this a paid theme or did you customise it yourself? Both manner sustain the pleasant high quality writing, it’s rare to see a enjoyable blog similar to this 1 these days.Thanks for sharing online. I just want to mention I am new to blogging and honestly loved you’re web page. Almost certainly I’m planning to bookmark your blog post . You surely come with remarkable posts. Thank you for revealing your web page. What i don’t understood is actually how you’re no longer actually a lot more well-favored than you might be now. You are so intelligent. You already know therefore significantly relating to this topic, produced me in my opinion consider it from numerous numerous angles. Its like men and women don’t seem to be interested except it’s something to do with Girl gaga! Your own stuffs outstanding. Always deal with it up! Good day very cool website!! Man .. Beautiful .. Wonderful .. I’ll bookmark your web site and take the feeds additionally…I am happy to find a lot of helpful information here in the publish, we’d like work out more strategies in this regard, thanks for sharing.